The computer is an essential part of my day. I use it to browse the news, learn new things, blog, code websites, and play games. While working full time, I decided to get a Master's degree in Computer Science. 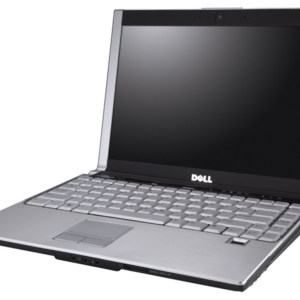 I needed mobility, and eventually ended up purchasing a 13" laptop from Dell, the Dell XPS M1330. When I purchased it for $1000 six years ago, it had a Core2Duo, 2GB RAM, a HD (not SSD), NVIDIA onboard graphics card. Even though it was noisy (while loading and ejecting) and I rarely used it, I love having the CD/DVD slot loading drive. This laptop was constructed almost completely of plastic on the outside. The top had a rubbery layer that prevented fingerprint marks. I never felt the need to buy an additional case, even though it was on the move a lot. All I did was slide the laptop into my regular backpack. The lid opens and closes easily for most of the time. But by the 5th year, the hinges were beginning to fail and the monitor preferred certain positions. I did have NVIDIA graphic card problems, which Dell later admit was due to bad hardware. Luckily, my laptop was still under warranty. Dell sent a repair guy to my home to replace the motherboard with soldered on NVIDIA graphics card (I think Dell's solution was to down-throttle the graphic card performance to prevent overheating). After 6 years, despite never dropping the laptop, there are definite scratches on the plastic around the edges. But all in all, the plastic case held up and I would consider another laptop constructed of plastic. The dell has several compartments that provide easy access to RAM and Hard Drive slots. Soon after my 3-year warranty expired, I upgraded the RAM from 2GB to 4GB. At the time, I was still running Windows XP. Around the 4th year, the computer became sluggishly slow (couldn't stream Hulu videos). Windows XP was never re-installed, but I had run defragmentation after clearing out the hard drive of useless files. So I decided to upgrade my HD to an SSD and re-install the laptop with Windows 7. The combination of SSD and a fresh install of Windows 7 transformed my old laptop into a blazing fast laptop. With provided ways to upgrade the machine, I'd say with about $200 was able to extend the life of the laptop by 3 years (basically doubling the life of the laptop). This was the main purpose of the laptop. Daily for 3 years (weekday nights and weekends), I used this laptop to do homework (sometimes at the library), and carried it to class after work everyday. To be fair, I'm only in class about a couple of hours each night, which was no problem on one battery charge. I also ended up install various required software to get through classes, such as Eclipse, Java, GIMP, and Visual Studio. For 3 years in graduate school, this laptop was always on the move. My final project for graduate school also included some CPU extensive project that had the CPU running at it's highest performance for hours. It executed with a charm. In addition to school-related education, my laptop accompanied me on all my vacations around the world. A laptop is essential for internet access at hotels and as a backup for digital photos. Since transporting a laptop via check-in luggage is prone to getting stolen, I always use a carry on backpack with my laptop and charger. All in all, this laptop has gone with me many times to Taiwan and China, France, Baltic Sea Cruise, Alaska Cruise, countless drives to Southern California (from Northern California), and most recently Bora Bora in the French Polynesian Islands. Overall, the laptop was large and bulky to carry, but in my opinion was always worth it. It has an NVIDIA graphics card, which doesn't automatically make it a gaming rig, but it is a step above the most basic. For the first four years, I hooked my laptop directly up to the TV via HDMI so I could stream Hulu, YouTube, and Netflix directly to my TV. The only issue I had here was with Windows XP, I had to manually change the sound source to output as HDMI. In terms of gaming, I occasionally gamed (around 3-4 weeks a year) where I played the original Starcraft in a LAN Party setup and a little bit of Warcraft 3 (lowest settings). More recently, I got to play the new SimCity. The graphics were all set to average, but there was noticeable FPS problems. All in all, I wish it were more powerful on the gaming front, but I knew from the day I purchased it the intent was not for gaming. Over the course of the first 3 years, where I had warranty, I called in more than a few times to get service. Even though the customer service representative was from India, communication was easy. Wait time on the phone was minimal, and the automated phone portion was short and simple. Though I've never personal worked a job with a customer facing role, I do understand why the process is repetitive and am patient. Dell's customer service is one of the best I've worked with (the worst was Paypal's customer service line).